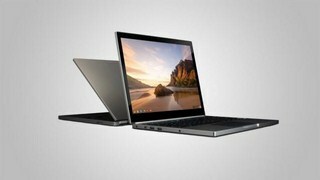 A week after hinting at plans to launch a range of high street-based physical stores, American search engine giant Google have revealed a new product that they would be able to stock in it, with the Chromebook Pixel being planned as the company’s first-ever laptop to include ‘touchscreen capability’. The high-resolution product, which is due to ship in a number of leading markets ‘next week’, has been described as including: “the highest pixel density (239 pixels per inch) of any laptop screen on the market today”. Google also noted that the computer’s touchscreen (presumably making it a laptop/tablet hybrid product as opposed to the tablet/laptop Microsoft Surface) makes the process of organisation easier through the mere use of ‘the tip of your finger’. Features of the Google Chrome OS-based product include ‘Intel Sandy Bridge’ screen processors and an Intel Core i5 Processor for ‘speed’ purposes along with ‘4G LTE’ connectivity, while a notable area of interest is the complete lack of local storage on the system, instead allowing applications to run via a web browser and files to be stored in the cloud.